The Volkswagen Touran is a compact MPV range that was launched in 2002 by the German automaker. Currently on its second generation, the range comes in five and seven seat variants. In between the two generation, the range received an upgrade and improvements were made to the engineering and design of the model. Although technically smaller, the model matched the size of the larger Sharan vehicle. The range is designed with a traditional, understated people carrier style that is appealing to buyers, while the interior is incredibly spacious with practical functions and fitted with quality material. 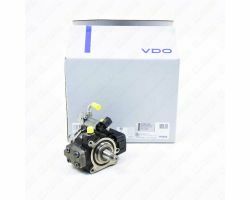 Available with an array of petrol and diesel engines, each engine offers different power outputs for the buyer to choose. The 1.6 litre TDI diesel engine and the 2.0 litre TDI diesel motor are favourite picks for an engine as they both deliver quick acceleration as well as a smooth and efficient performance. In all, the Volkswagen Touran is a range that offers good styling, a spacious interior, practicality and strong diesel engines.